Take a hike to clear your mind of the day to day struggle. Thankfully, our line of Miracle Medicine shirts should help alleviate your illness. 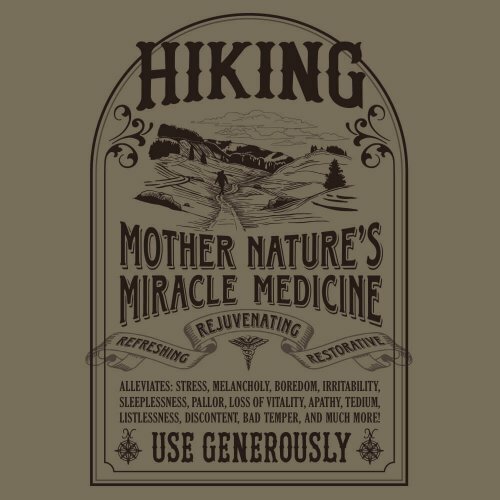 Hiking cure makes a unique gift for any outdoor nature lover you know.